(Seychelles News Agency) - As consumers when buying products made of plastic or in plastic containers, unless one is environmentally conscious, we very seldom think about what the cost in terms of resources used to make these products and the dangers they represent to our natural environment as they are not biodegradable. The polyethylene terephthalate (PET) bottle industry, that started in the early 1970’s, is one that has flourished around the world and is today well known in the Seychelles, a group of islands in the western Indian Ocean. PET bottles are now seen and bought in almost every local retail shop selling carbonated drinks especially on the most populated islands of the archipelago; Mahe, Praslin and La Digue. The Seychelles, being a small island, does not have much available land to store solid waste, so the country has had to find more sustainable ways to manage waste, and one business-minded couple saw the potential for creating a venture, which would eliminate the waste and bring in revenue. 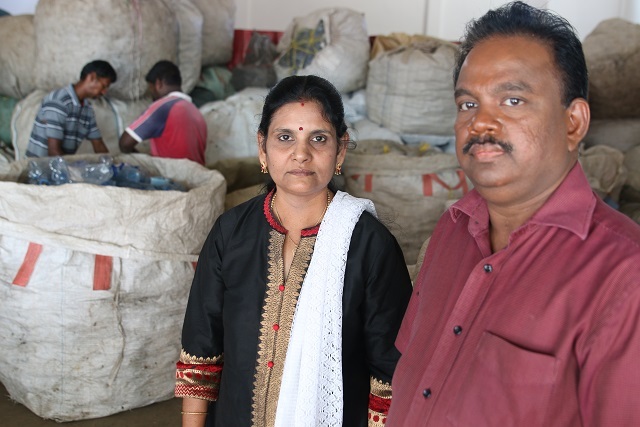 In 2002, a former employee of the Seychelles Breweries Ltd (SBL), the Indian Ocean island archipelago's only brewery and one of the oldest companies in the island nation, Eandassamy Rengassamy and his wife Geetha Lakshmi Kandasamy, who had moved to Seychelles from India, started a PET bottle recycling company. 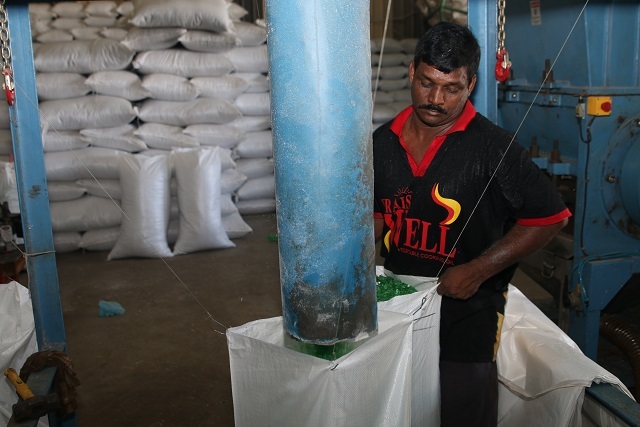 Harini Company Limited is based at Providence, the industrial zone on the eastern coast of main island, Mahe. At the time, Rengassamy decided to collect bottles from Seychelles Breweries and Seychelles Marketing Board (SMB), which is today known as the Seychelles Trading Company (STC). Seychelles Breweries and SMB were the two main manufacturers that used bottles at that time. Rengassamy told SNA that business was slow in its initial years and he would only collect about 50 thousand bottles per month. 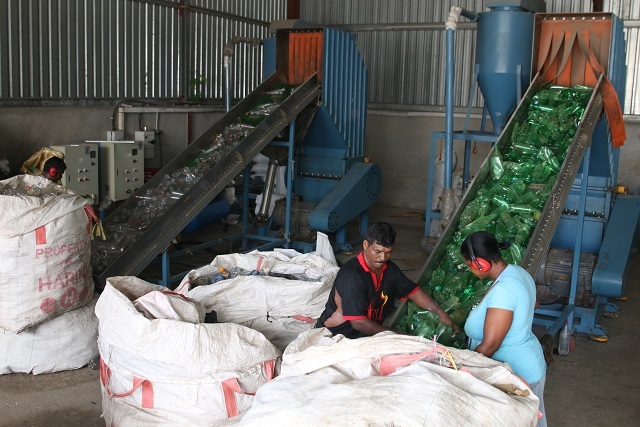 In October 2007, the Seychelles’ department of environment introduced a new scheme for recycling PET bottles through the signing of an agreement with Seychelles Breweries and the SMB. The scheme included a network of places called 'redeem centres' where people could return their PET bottles for the Seychelles rupee equivalent of 0.03 dollars. At present, there are six redeem centres located in the four corners of Mahe, on Praslin and La Digue. 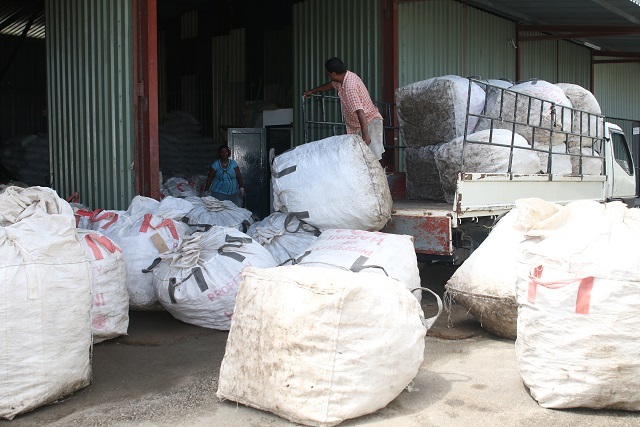 So far the Harini company is the only exporter of PET bottles from the country in Seychelles, which means that redeem centres collect and bring the bottles to the company, which shreds them for export to China. The company today collects about 3 million PET bottles, equivalent to 40 to 50 tonnes, monthly and earns around 300 dollars per tonne. Rengassamy is happy that he is making a vital contribution to protect the environment of Seychelles. 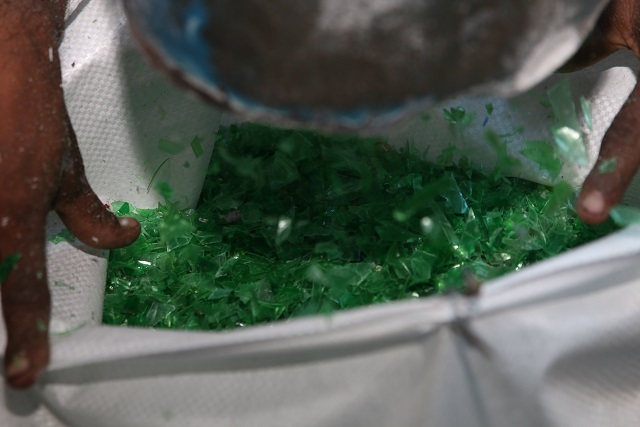 “PET bottles take 400 to 500 years to degrade completely. 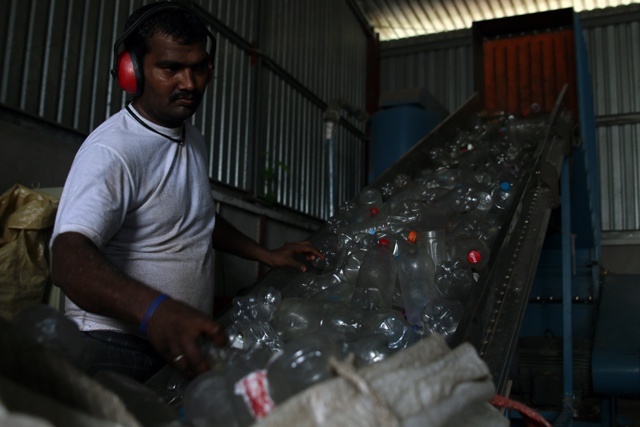 Removing three million bottles per month from the landfill is a big thing,” says Rengassamy. After seven years since the introduction of the scheme, Rengassamy feels that some improvements could be made. “I get almost 30 individuals coming to my centre, to redeem on a daily basis and they earn up to 750 Seychelles Rupees [57 dollars]. Raise the fee paid to the public for the PET bottles so that more people would collect the bottles, as still to date; there are still bottles being left in the environment,” explains Rengassamy. In 2008, another recycling company ‘De-Recycling’ was set up. The company started collecting and sterilising empty tomato ketchup bottles from the SMB and returning them to the company. The company at present collects 7-10 thousand bottles per month and have launched into collecting PET and exporting aluminium cans. The cans are compressed at their Providence store, near the capital Victoria, and later exported. De-Recycling tells SNA that they have about nine hotels that regularly provide them with PET bottles, such as Four Seasons Resort and Spa and Banyan Tree Seychelles Resort. The company has three redeem centres plus a collection service, whereby upon request they come to homes and offices to collect the bottles. Aside from companies and organisation, hotels are also doing their own projects to reduce the amount of bottles bought by their customers that ends up in the environment. The Ephelia Resort and Spa at Port Launay, on the western coast of Mahe, is bottling water for its customers to use in the hotel. 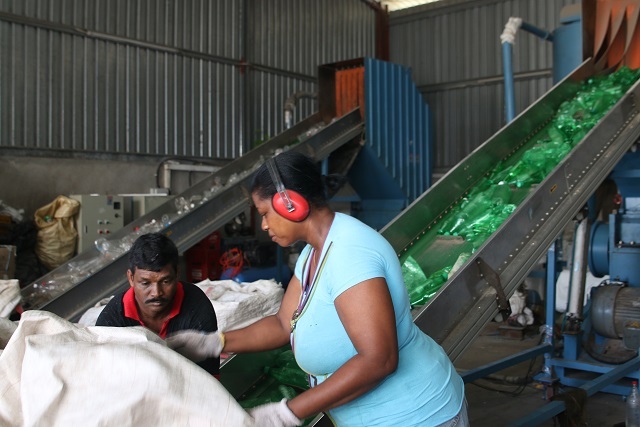 Despite the increase of consumer awareness for the need to recycle waste, both companies feel that as Seychelles is a small country, it is not viable for them to do the recycling and work on the end products with the materials themselves. 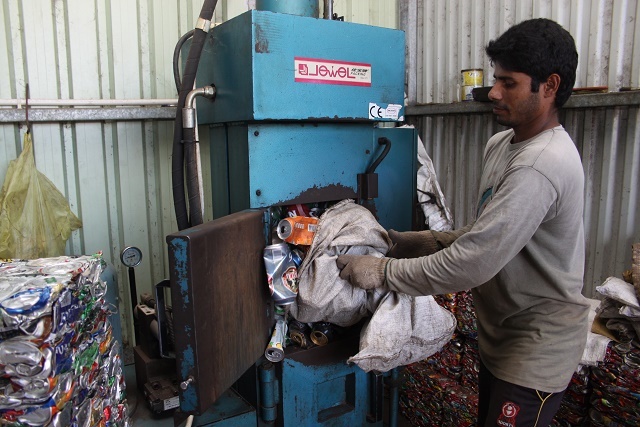 According to a report on the status of waste in Seychelles compiled in 2013 by the Sustainability for Seychelles (S4S) a local non-governmental organisation, metal and bottle recycling companies are the most popular recycling companies to date. They save over 600 tonnes of waste from going to the landfill every month. 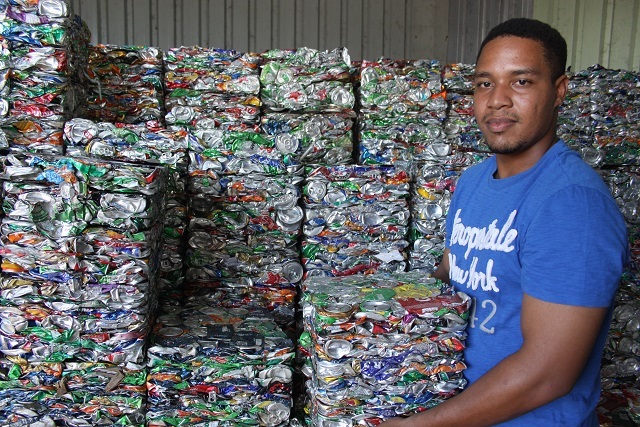 The report rates Seychelles Breweries as one of the best models in the country with their policy of ’zero waste to landfill’ and innovative strategies to sort and process with every kind of waste emanating from their operations. It also states that PET bottles accounted for 1.6 percent of the total municipal waste in Seychelles. According to the United Nations Environment Programme (UNEP), PET bottles account for 22 to 43 percent of the plastic used worldwide and pose a major waste problem.